In short, the Highway Code, or certain parts of it which might be inconvenient to motorists, apparently has no application in Cambridge. Cycling campaigners in Cambridge and around the country were quick to condemn the position of Cambridgeshire police. I share the anger of Camcycle. When the story broke, Levenes were working at the time on a case where a client had suffered injuries as a result of a close pass. The case was yet to be resolved and I have, until now, kept my powder dry. However, my client, Ms B, has now obtained a settlement for her injuries and so I can now talk about this case. Ms B was cycling along Mill Road in Cambridge. She is a middle aged lady, who used her bike to get around Cambridge. Mill Road is a narrow road. The speed limit was 20 mph. As Ms B was cycling along there was a Daf Iveco truck coming up behind her. The driver of this vehicle was making a delivery just up the road. A short time later, Ms B was on the ground following the driver of the Iveco truck overtaking her. When questioned by the police, the driver said that he drove over the Mill Road bridge heading towards the city. He said that he indicated and overtook 3 cycles and then indicated left making other road users aware that he was going to stop. Let’s pause there. Why overtake 3 cyclists if you are then immediately going to stop? Probably he was in a hurry to make his deliveries and gave little thought to other road users. That’s just my guess. He never explained this. The Police do not seem to have asked him. If they did, they certainly did not record his answer. The driver told the police that he came to a stop and did not think he hit anyone but then saw a female on the floor. The witness with the best view was Ms B but due to her head injury she had no memory of the incident. Next best was the driver of the car immediately behind the truck. It so happened that this was a left hand drive car meaning that the driver had a perfect view up the inside of the truck. That’s not a perfect account of the accident but take the time to interview the witness properly and you will get a very clear statement – which was what Cambridge police failed to do. We already know that the driver did not see Ms B until after the collision so were there any other witnesses? Well, apparently there were. The officer in the case noted that there were 2 witnesses. So what action did the police take? Rather predictably, they took no action. The police seemed to have decided to accept the word of the 2 council witnesses. The police do not appear to have considered the quality of their evidence. It may have been true that at first the van driver gave room (plenty is debatable – and might reflect the prejudices of the council workers rather than the Highway Code) but when the van began to pull in, it is not possible for those witnesses to have seen that there was no contact with the cyclist because by then the van had moved over to the left and the cycle would have been hidden from view. The officer in the case did not seem to consider this nor consider that the very best evidence must have come from the driver of the left hand vehicle who was following the van. Case closed, as far as the police were concerned. Ms B instructed us to pursue her claim. We put forward the case to the insurers of the Iveco truck. The insurers denied liability. Of course, there was no contact they said, their driver did nothing wrong, they said. We interviewed the witness in the left hand drive car. We met him at the scene and made sure he was going to fully support the case – something the police do not seem to have done. He was very clear. The truck driver had pulled out on to the opposite side of the road, but then pulled in too soon before he was clear of the cyclist. Failed to follow the Rule 212 of the Highway Code, by failing to give sufficient room to the Claimant when attempting to pass her. Failed to follow Rule 163 of the Highway Code, in that he failed to give the Claimant at least as much room as he would do when overtaking a car. Very soon after we started the court proceedings, in spite of all the previous denials of the insurers, the claim settled and Ms B can now get on with her life and not worry about having to come to court. So where does Operation Close Pass come in? Well, consider how this accident happened. The Claimant was cycling along a narrow road. The driver tried to overtake her. It was an odd decision given that he was about to pull up. He probably saved himself 3 or 4 seconds at most. 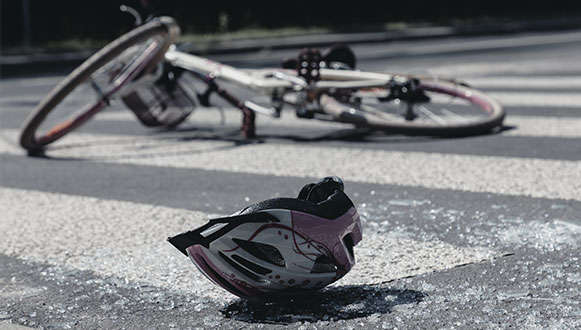 According to the witness with the best view there was contact between the handlebars of the bike and the vehicle. He cannot have allowed enough room. According to West Midlands Police, Operation Close Pass has delivered a reduction in casualties. According to Cambridgeshire police, Operation Close Pass is not for the good people of Cambridge as the roads are too narrow. The case of Ms B shows that Cambridgeshire Police must think again. Operation Close Pass makes motorists think about how much room they need to allow when they overtake a cyclist. Would be cyclists are intimidated by heavy vehicles on the road which pass them closely. If you want to know how it feels, stand on the platform of a station when a high speed train comes by. Operation Close Pass should help people be more confident about cycling and reduce casualties. If Cambridgeshire police believe in casualty reduction then Operation Close Pass is the perfect initiative and then perhaps cases like that of Ms B will become less common. Anything less than this would be a disservice to the people of Cambridgeshire.